The public has spoken – and we’ve come out tops! Come and try the best bunny chow in Durban at Jeera this summer. With options like lamb, sugar beans and butter chicken you’ll be blown away by our home-made recipes and great taste. Open for lunch & dinner daily. Sit down or takeaway available. 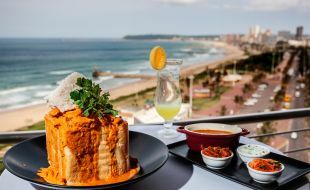 2018 Winner: Durban’s Coca-Cola Bunny Chow Barometer Challenge.